Synopsis: KILLER NOT STUPID tells the story of two assassins on their way to finish a final mission before ending their careers. Along the way, things get complicated as they are each hunted by their own enemies, making this hilarious adventure a hell of a ride! 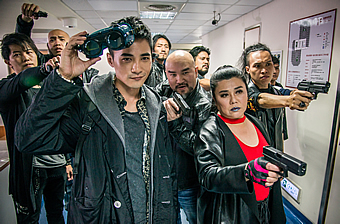 ‘Killer Not Stupid’ is billed as Jack Neo’s first action-comedy, and we hope for his sake as well as ours that it is his last. Neither funny or exciting, it is two hours worth of sheer tedium, consisting of dull jokes, muddled plotting and horrendously executed action scenes. In fact, had Neo’s name not been front and centre on the film’s promotional materials, you’d probably think this was the effort of a first-time writer-director who clearly needed some more years of film school. The sheer ineptitude on display is evident right from the start, which unfolds along the darkened streets of our very own Duxton area. 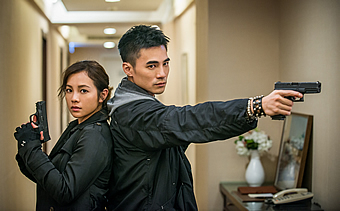 Two assailants – one played by Maxi Lim and the other named Hornet played by lead star Jay Shih – dressed in black and armed with short curved blade knives exchange a flurry of largely incoherent, sometimes cringe-worthy slo-mo, moves in the rain. The latter is then shot at by a sniper from a nearby HDB block, who is taken out in a terribly CGI-rendered explosion from a drone piloted by his partner-in-crime Mark (Nadow). 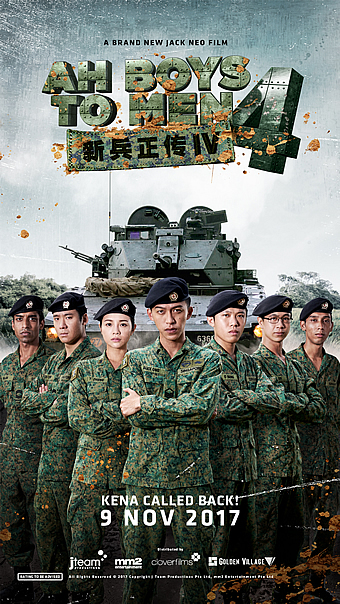 It is less that such a scenario is unconvincing in low-crime Singapore than the fact that it is so poorly staged you’d wonder if it was shot on the fly. 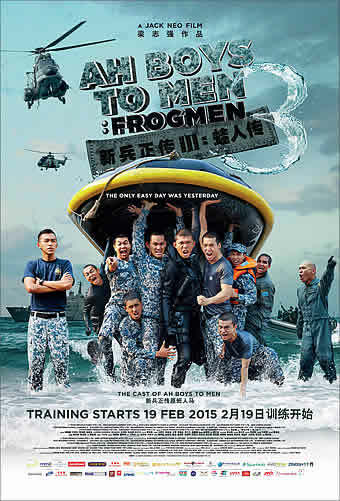 Those looking for the opportunity to see some based-in-Singapore action will have to settle for that one sequence, for the rest of the movie then shifts to Taichung, where presumably it’ll be ok to bring on the guns, hand grenades and even RPGs. Indeed, the change of location significantly ups the tempo of the action, so much so that the next big action sequence sees Hornet and Mark dodging a barrage of machine gun fire from the building across their hotel room. Yet even with the addition of a gang of hitmen dispatched to take them out from within the hotel itself, as well as an unexpected ally in the form of Apple Chan’s no-nonsense Ira, the lazy and/or uninspired choreography keeps the sequence from ever really coming alive. Neither for that matter does the comedy, which is just as, if not more, ham-fisted. What passes for a running joke is Gadrick Chin’s lanky Malaysian tourist Sha Bao (aka Dumbo) trying all means and ways to feel like 70s Taiwanese actor Chin Han, including putting on AR glasses that allows him to visualise crooning to a Bridgette Lin-lookalike. And then there’s Amber An’s hyper-bimbotic Talia, who despite being marked, insists on putting on makeup and wearing high heels so she’ll look good like a model. The scenes with Chin exaggerating his Malaysian accent, An acting all ditzy and Chan coming off exasperated with the both of them are draining and repetitive. Though the opening makes it seem as if Hornet and Mark are the main protagonists, the movie ends up spending disproportionately more time on Ira, Talia and Dumbo as the two groups bicker and banter their way from one messy set-piece to another. In fact, Hornet’s disillusionment with the life of a professional assassin and his consequent decision to quit (which is how both ended up being shot at in Singapore by their former boss in the first place) seems less and less consequential over the course of the movie, which seems a lot more interested in say whether Dumbo and Talia fall in love with each other or if Mark will end up fighting with Dumbo for Talia’s affections. 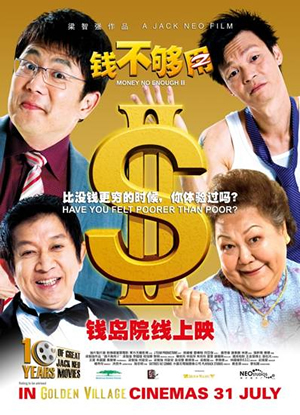 Ironically, it is none of these five characters that turn out the most engaging; rather, you’ll probably be most entertained by Taiwanese veterans Lin Mei-Hsiu and Shin Lung, who play Hornet’s ex-boss Mum and her right-hand man Wild Boar respectively. Their bungling attempts at eliminating and/or capturing Hornet and Mark are silly and over-the-top, but both performers have great chemistry hamming it up next to each other. One of the few scenes that is amusing has Mum reprimanding Wild Boar for attracting attention by feasting on braised pork rice while dressed as a monk; and another running joke that works despite being overused sees Wild Boar using his halting command of the English language to communicate with their Filipino client. Even so, there is little disguising the fact that the character work is sloppy, especially when the frenetic plotting is equally slapdash. What is a simple plot involving information on a powerful Filipino drug lord Adolf’s (Ricky Davao) criminal activities, that is contained in a thumb drive that requires a separate decoder, is made needlessly convoluted – including mention of how it contains the names of said drug lord’s spies across Governments in different countries, and the addition of a rival gang of hitmen (led by Ryan Lian’s brash Grandma) which has been also been hired by Adolf to retrieve the same. 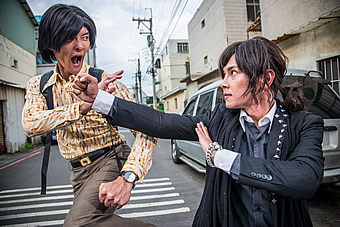 Had these criss-crossing encounters been better choreographed, this could have been a killer comedy of mistaken identities and what not, but Neo and his regular co-writer Ivan Ho hardly know how to juggle all the moving pieces they carelessly put into motion at the same time. 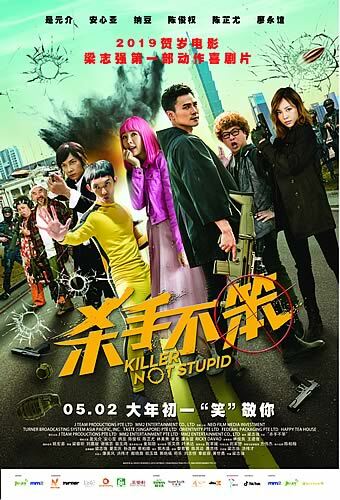 So as intriguing as it may be, we’d advise you not to be stupid enough to venture into ‘Killer Not Stupid’. Except for Lin and Lung’s scenes, there is barely any laughs to be had in the shenanigans, which because of their tedium are in fact frustrating to sit through. 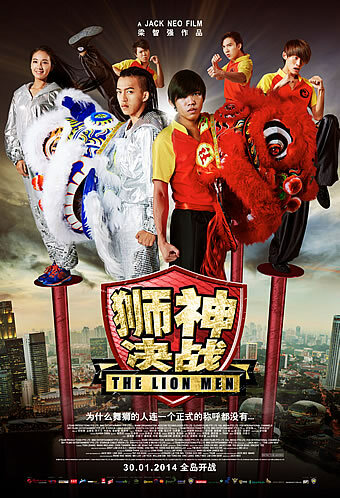 The action is no better, coming off messy, incoherent and utterly devoid of thrills; in particular, the shootouts are clumsily shot and the fisticuffs look amateurish, not helped by the fact that An, Lian and Chin have little experience in that regard. Thanks to his ‘I Not Stupid’ movies, Neo has quite a following in Taiwan, which probably explains why this movie (which bears no relation to those movies) is so titled. Rather than regretting a good two hours wasted on such inanity, we advise you to wise up and avoid this misfire that, as we said at the start, is the one and only time we wish Neo is let near an action comedy ever again.